Every so often, we write a rug terms dictionary post for those wanting to improve their handmade rug vernacular. Whether you are an expert on decorative rugs or reading about the field for the first time, you will find these terms to be very interesting! Picker: an individual who regularly purchases rugs at auctions, house sales and flea markets and resells these rugs to dealers. Prophet’s green: shades of green derived from combinations of indigo blue and yellow obtained from different vegetable sources. This was thought to have been the color of Muhammad’s banner, now in Istanbul. Sar (Tibetan): a tree-cornered pile weaving placed underneath the crupper of a horse. Shaped carpets: any carpet of unusual shape and intended for some highly specific purpose. Trefoil: a design motif of three elements. A stylized representation of a three-lobed leaf. This motif may be used as a reciprocating border. Twill weave: a basic diagonal weave in which warps consistently skip two, three, four or five wefts or wefts consistently skip two, three, four or five warps. Underlay, padding: material placed under a carpet or rug to protect it from friction with the floor and to provide resiliency and insulation. Vertical wefts: an ambiguous term that may refer to supplementary yarns parallel to structural warps in some tapestry weaves. Warp tension: in rug weaving, the stretching or tensile stress of warps on the loom to facilitate the weaving process. 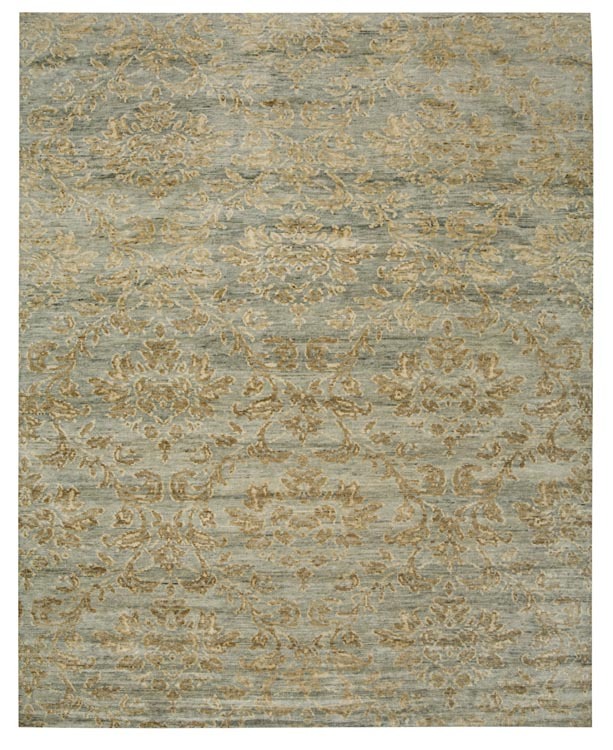 Even or equal tension across all warps is essential to produce a rectangular rug without wrinkles. Wreath carpets: sixteenth-century rugs of Alcaraz, Spain. Most of these rugs have green wreaths on a red field. The wreaths are in single or multiple columns. Each wreath is filled with arabesques. These rugs use the Spanish knot. Zoomorphic: having the form of stylized animals, often used to describe motifs in oriental rugs.